Awhile back I posted a list of the best free DAWs currently available for recording and producing music that anyone can install on a PC or Mac computer. This week I’ve put together a list of the most popular paid digital audio workstations that people use even with just a basic home or laptop setup to record, edit and produce music, among other things. DAW software is the cornerstone of making music, so choosing one is a big deal. There are a bunch of different brands, each with its own unique set of strengths and weaknesses. There is no “best” DAW. It depends on what features and workflow works best for you. A lot of people like using two different DAWs. Personally I like using Ableton Live Lite 9 for coming up with song ideas. It’s great for rough drafts. The unique session view makes everything super quick and easy to setup and get things laid down without being confined to a linear timeline. Then once I have the song mostly figured out and arranged, I switch over to Pro Tools 12 for the final draft since it’s better suited for things like mixing and audio editing. Either way it’s best to try out a few different DAWs first to see what works best for you. If you’re looking for a new DAW or are just starting out, here’s a list of the most popular Digital Audio Workstations that are currently available, with a YouTube video to give an idea of how each works. 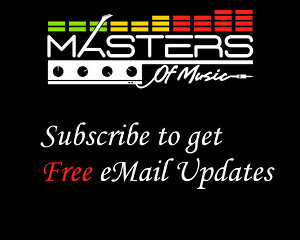 And don’t forget the best free DAWs list if you want to get started right now for the cost of your time only. Ableton gets categorized as a DAW for electronic music because that’s what it’s best suited for but it can be used for any kind of music. It’s very good for MIDI devices and controllers because everything just works and MIDI mapping is very quick and easy. There’s also the Ableton Push, a dedicated controller designed specifically to integrate with Ableton Live. There are four different versions of Ableton Live 9. There’s a free Lite version that comes with certain MIDI controllers and audio interfaces (like the Focusrite Scarletts). There’s an Intro version for $99 that’s the same as the Lite version except it has 16 tracks instead of 8. The Standard version of Ableton Live 9 costs $449 and the Suite version that adds more instruments and a larger library of sounds sells for $749. Bitwig is a newer DAW with an emphasis on customizing workflow and advanced MIDI features. It is similar to Ableton Live in that it has a clip launcher view that lets you work with music without the usual linear timeline structure. It works with PC, Mac, and Linux computers. The full version of Bitwig Studio sells for $299 dollars/euros. There’s also an EDU version for $269 (at least that’s what it says on the Bitwig website; Amazon currently has it for $239). Cubase is a popular DAW developed by Steinberg, a German music software and hardware company. Cubase is known for being a good all-around DAW with a number of quality included effects and instruments. There are three different versions of Cubase software with varying levels of features. It starts with the Elements version for $99, then there’s an Artist version for $299, and the Cubase Pro version sells for $549, with discounts for educational versions. FL Studio is one of the more popular DAWs and is a good inexpensive option but it only works with Windows computers. This is one DAW that is future proof because buying into FL Studio also gets you free updates to all future versions. FL Studio is available in three different versions. The entry-level Fruity version starts at $99, the Producer version is $199, and the Signature version is $299, although all are currently a bit cheaper than that for the boxed versions at Amazon. There’s also an All Plugins Bundle for $737. Logic Pro X is Apple’s music software so it’s Mac only. It comes with a large library of sounds and a number of plugins and effects. The cool thing about Logic Pro X is it’s surprisingly inexpensive considering the source. There’s only one version and it sells for $199. Mixcraft 7 comes with a number of instruments and effects plugins, plus over 7500 included sounds, video editing support, and unlimited tracks. It works with Windows only. Mixcraft is one of the more affordable DAWs. It starts at $89 for the entry-level version and the Mixraft Pro Studio version is $165. MuLab isn’t nearly as well-known as some of the other DAWs on this list but the people who use it really like it. It supports Windows and Mac. The full version of MuLab 7 sells for only 69 euros (about $78 USD). There’s also a free version that you can download to try out, but it only allows 4 tracks so it’s not very useful. Pro Tools is probably the single most used digital audio workstations on the planet. It offers a number of advanced features and is especially good for recording and mixing. Avid has a bunch of confusing pricing plans for Pro Tools that I’m not even going to attempt to explain. The bottom line is you should try the free version first to see how you like it, then buy the full version with a perpetual license instead of one of the subscription plans that sounds cheap now but is inevitably going to end up costing a lot more in the long run. Reaper is one of the more popular DAWs because of its highly-customizable nature and the fact that it’s the least expensive option on this list. It’s loaded with a ton of features and is known for being very stable. The great thing about Reaper is it’s a wallet-friendly $60. Yeah, there’s not a zero missing. A full DAW for $60 with the same level of features as stuff that costs 10 times that much. Plus it has a 60-day trial period to demo the full software. Propellerhead recently released Reason 9, the latest version of Reason. It comes with a number of high-quality instruments and effects, plus a large library of included sounds. It works with Mac and Windows. The full version of Reason 9 sells for $399 and the entry-level starter package, Reason 9 essentials, sells for $69. They offer a free 30-day trial. SONAR is another popular DAW with users that’s not as well-known as some of these other options. It comes with a number of instruments and effects, plus VST3 and touch support, unlike a lot of other DAWs. There are several different pricing plans for SONAR. Basically the entry-level version starts at $99, there’s a mid-level package for $199, and the higher-end Sonar Platinum version sells for $499. Another popular DAW that has been getting a lot of users onboard is Presonus Studio One 3. It has a fast workflow and a ton of handy features, with a bunch of high-quality instruments and effects included. The entry-level version starts at $99 and the full version of Studio One 3 Professional sells for $359. 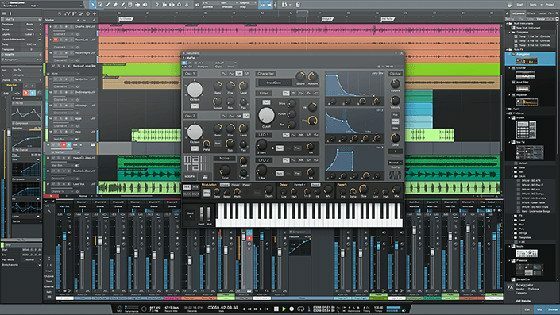 Good list of DAW software and price point comparison. I am also on the look out for in depth feature and usability comparison (i.e a quick run through using all of the above to create a simple layered song). Please let me know if you know of any articles or videos that address this.